The question many of you will have coming to this piece is: Who the hell is Stoney Burke, and is there any reason I should care who the hell he is. Stoney Burke is a TV series created by Leslie Stevens and airing in 1962 and 1963. Stevens’ company, Daystar, would produce The Outer Limits the next year. Stevens wrote and directed the first eight episodes of Stoney Burke, a series about the rodeo circuit used as an arena for a number of anti-establishment themed stories, in a time when there were few television shows examining or question the status quo. At first it seems curious that this modern-day western be used as a motif for living a non-conformist life-style, but in a tilt of thought, it’s appropriate, because despite the closed environment of the rodeo, the people who live it travel from place to place. The dream of winning a golden buckle is meaningless to most outside of the rodeo circuit. The dreams are big. The challenges are physically harsh. Stoney Burke has just been released on DVD by the Timeless Media Group. In terms of classic TV I think it is one of the most important additions to DVD this year, along with Maverick – Season 2 from Warner Brothers and the upcoming Have Gun, Will Travel – Season 6 by CBS DVD. This is not because all three have a western motif, but because they are all unique series, with charismatic stars and tightly written scripts and a tone that is all their own. I want to thank Daniel and Ruth Blair for gathering stills for me, to give you an idea of the look and ambiance of Stoney Burke. These photos are NOT taken from the DVD set, and some may not be as sharp in look as they are on the DVDs. But they will give you a visual idea of how subtle, how unique Conrad Hall’s cinematography for this series was. A tip of the Stetson to both Dan and Ruth. The Casey Gibbs rodeo company provided an authentic backdrop to the bronc riding and bulldogging events. Why should you care about Stoney Burke? Here’s a list of reasons. Stoney has been an almost “lost” show, unlike the others I mentioned. I have been in the New York area for over thirty years and I have never seen the series syndicated. I had read about the show, knew of its existence and that some cinema historians held it in high regard. Now, with this release on DVD, Timeless has included every episode, uncut. Many of the episodes even include the half-break bumpers and at the end, the trailers for next week’s episode. You might want to be careful in watching those previews in this age of spoilers because sometimes they sure show a lot of what happens, but still, something many companies fail to realize is that the collectors and the ones who loved these shows want them as close to the way they aired as possible. And Timeless has delivered on that front. I still can’t figure out why Warners, which is doing a beautiful job with its Warner Archives in restoring films and TV series, doesn’t include the bumper breaks and their trailers with shows like Maverick. Nobody went into commercial breaks better than Warner Brothers in the 1950s. Jack Warner may not have wanted to spend much on the TV series, but William T. Orr made them seem special, the way Walt Disney made whatever you were watching seem one of a kind. 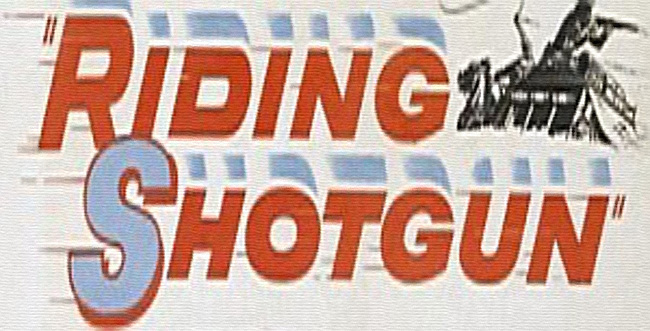 On series like 77 Sunset Strip, the theme song would come up, the title of that week’s episode would flash over the logo, the announcer would intone with solemnity that 77 would be back. The opening fanfare with a downshot on the Warner Studios as the announcer intoned, “From the entertainment capital of the world, produced for television by Warner Brothers!” made me want to go there more than Disneyland. Yet, Warners continually cuts down on many of these features that made them so unique. Stoney has it all included, even if by this time television is using less fanfare to orchestrate what they are bringing into your homes. So, the first thing you’ll be missing about Stoney Burke, if you never see the show or buy this set, is that this is Leslie Stevens writing fervently and with passion, bringing together talent that would go onto long histories in television and movies. But this show, these stories, would be hard to find. Jack Lord is Stoney Burke. And for those of you who only know Lord as Steve McGarrett from Hawaii 5-0 and as Felix Leiter in the first James Bond film, Dr. No, you’re in for a major revelation as to the range of acting skills Jack Lord has. Stevens gives Lord many impassioned speeches through-out the show, and Lord is up to the emotional storm, an often intense, complex mixture of reactions to the challenges he confronts. There is even a softer side to Stoney Burke, a smiling Jack Lord, eyes warm with compassion, or glinting mischievously. I guess I thought that Stoney would be the hard-edged bronc rider, a western McGarrett, humorless, rigid. Stoney is none of that. He’s compassionate, loyal to friends to a fault. He challenges authority. He challenges those who needlessly hurt others. He surprisingly rarely throws a punch, even when he’s been pushed to far limits. Albert Salmi in The Wanderer sucker-punches Stoney, leaves him lying in a gutter, and Stoney doesn’t take him down when he meets him later. He’s not a pacifist, by any means, but there are maybe only a handful of episodes where Stoney ever reciprocates the violence inflicted on him in a physical manner. This nuanced performance by Jack Lord, by those who have never seen him do anything like this, will have many reconsidering his abilities as an actor. Discovering a side of Jack Lord obscured over time is a second reason you might care who in the hell Stoney Burke is. The regular cast of Stoney Burke. Jack Lord as Stoney, sitting on the corral gate. Warren Oates as Ves Painter, standing. Bruce Dern as E.J. Stocker. Bruce would leave the series half way through its run. Robert Dowdell as Cody Bristal, who later would be cast in Voyage to the Bottom of the Sea. Note the light fixtures beside Jack Lord, the room lit naturally, not with the traditional flat lighting of many TV series done in that time-frame. Hall exhibits a naturalism throughout the series in his filming, experimenting with what he could bring image-wise with the lens. Warren Oates is Ves Painter, a scoundrel and a ne’er do well, living on the fringes of society, following Stoney about. Whenever the camera is on Warren, he lights up the screen. You never feel he is acting. It always seems as if everything he does is real, just off that moment in time, a mannerism, an arch of the eyebrows, a slick gleam in the eye that also shows Ves is nowhere as slick as he’d like to think he is, and often knows he’s not. For those who only know Warren as scroungy bad guys on 1950s TV series, or in many of Sam Peckinpah’s films, this is a treasure trove of Warren exploring a character in what seems almost improve style. He’s never better than in the scripts written by Leslie Stevens, because Stevens understands this character, knows how to keep Ves walking that tightrope wire where the character’s cynicism and self-aggrandizement could alienate the audience. And then a flicker of pain stabs into Warren’s eyes, or his face breaks into that wide grin, and you buy that Stoney may be wise to Ves, but also why he doesn’t abandon him. Somewhere along the way, Warren starts calling Jack, “Stoney Boney.” I suspect that Warren used the nickname in an episode, the writers heard it, and made it a mainstay in later episodes. You want a third reason why you might care about Stoney Burke? Finding all these delightful moments from Warren Oates, preserved on DVD. Bring me the head of Ves Painter. Warren Oates enhances near every scene he appears in, sometimes a scoundrel that would be easy to hate, and yet with an infectious energy and enthusiasm that belies his self-centered actions, and ultimately reveals not only his humanity and pain and joy, but why he loves Stoney. Not all of the writers know what to do with Warren, but there’s always some sought of business going on with him that you know he probably came out with the moment the cameras rolled; Warren is that spontaneous. Ves and Stoney sitting in Stoney’s pick-up truck that hauls them from rodeo to rodeo. Conrad Hall manages to film this with ambient, natural lighting, adding reality and texture to the scene. How did he manage to find the time to set up such lighting under the weekly time-threat of a weekly TV series? Warren finds a high-energy through-out the episodes, and it’s always believable, never forced. When he’s not down and out, or drunkenly cynical, he’s the life of the party, until it goes sour. Watching Stoney get ready to dance with another bronc. You win, you get everything. You lose, you get nothing. But you want more reasons. Bruce Dern as E.J. Stocker. Bruce is the guy who readies Stoney for the broncs locked in the chutes, waiting for the exhibition, the “Let’s dance!” bucking bronco suite. Bruce isn’t the psychopath here; he isn’t the delusional drifter; he isn’t the skanky low-life who would take your life without a second thought. This is a role where Bruce is the guy who takes care of detail, to reduce the element of Stoney getting hurt. It is a lesser role than Ves Painter, but one, nevertheless, interesting to discover, when Bruce Dern was often so type-cast as malevolent sadists. And here’s another reason: the guest stars, like William Windom, Strother Martin, Salome Jens, Albert Salmi, Cloris Leachman, John Dehner, Jack Weston, Carroll O’Connor, Robert Duvall, Laura Devon, Elizabeth Ashley, Ed Asner, James Coburn, and Mark Richman, to start the list. Stoney Burke is a series that is character-centric, not plot-centric, which means the actors have a chance to show a lot of “colors” as actors like to call it, and display emotions they seldom had a chance to do elsewhere. But now we come to the real reason, if you love movies and TV, why you should care. Conrad Hall becomes a full-time cinematographer in Stoney Burke, and he comes out of the gate, riding that camera-bronc for all he’s worth, filming shots that you would seldom, if ever, see on television photography. Fans remember Conrad’s exquisite film noir lensing on The Outer Limits, in episodes like “Corpus Earthling” with Robert Culp. Conrad starts subtle lighting intricacies here, in Stoney Burke. On a weekly television show! I can’t imagine how he had the time to light sequences, indoor or outdoor, daytime or nighttime, so naturally, but he does it so evocatively, capturing the essence of the place or the scene, or the psychological hurt exploding from the characters. These prints on The Complete Stoney Burke on DVD by Timeless are beautiful to see. Hall shrouds Jack Lord’s face, limning his jaw-line. You did not often in this time-frame see the star’s face hidden in shadow. But the texture, the dynamics, the emotions of the moment are captured. The mood and tone remain even in longer shots, not losing the background of where the confrontations take place, but emphasizing with light and shadow. A gun has weight and texture and a lethal solidity; the shadows sculpting the fingers adding to the tension of the moment, to whether or not the trigger will be pulled. In “Tigress By the Tail”, Hall uses minimal light, as Jack Lord and Elizabeth Ashley sit in the front of a pick-up truck at night. Both are wounded emotionally. The scene is shot intimately. There is such daring in so much of Hall’s work, even this early in his career. In one shot, he shoots through the passenger window, past Ashley’s face, with the star, Jack Lord’s face, hidden in blackness, limned just along the jaw-line. In television? At that time? Tell me how often that was done. In another shot, on Ashley, her face is shrouded in darkness, just her eye really showing, incredibly lit, moist eye caught in that darkness. Warren tipping the Stetson to Dan and Ruth Blair. Remember, these stills are NOT from the DVDs. They are just representative of the images. The Shout!/Timeless complete set in far superior. Shades of The Outer Limits, as shadows engulf Ves Painter, lying hurt. Jack Lord reacts to difficult emotional choices that he seldom will in Hawaii 5-0. One more dramatic view of Conrad Hall’s intricate lighting. And to round it out visually, some outdoor images, of Stoney doing what he does best, work with horses. Leon Chooluck, who would go on to be location scout for I Spy, finds the hills and trails and rural settings that Conrad Hall captures against the action appearing within the frame. Leslie Stevens writes and directs the last episode, “The Contender”. There is an odd re-occurrence of scenarios in this show, and the penultimate one, with James Coburn, in “The Test”. In both episodes, Stoney is hurt. In “The Test”, he can’t walk after a bronc crashes him into the fencing surrounding the launch chute. It’s a good role for James Coburn, as Stoney’s doctor, and seems like a backdoor pilot for another series (there are about three backdoor pilots in the last episodes of Stoney that I can see). Many dramas from that time had an episode or two where the star goes blind or can’t walk, and The Test is ultimately in that realm. The last show isn’t. It starts with the same premise, that Stoney is hurt and can’t win the rodeo competition. The Journey completes Stoney’s journey, and also flirts with intimations of The Outer Limits. Stoney has blood poisoning. He is feverish. He has lost his dream. He cannot win the rodeo golden buckle. Mark Richmond plays a purchaser of horse flesh for dog food. He offers the depressed Stoney, who never even thought he could lose, a job as trucking the horses bound for the meat-grinder. Stevens has the ability to write on two levels, to make it work in action, but more to give the action a deeper meaning. One wonders if the death of Stoney Burke is a substitute for Stevens’ company, Daystar, losing its first show, before The Outer Limits. Is that reality an inspiration for this tale of defeat and the possibility of selling your dreams and your soul? The sequence where Mark Richmond beckons Stoney to lead the horse that wounded him into the slaughter-house works because the actors sell it, because the script is there, and because Conrad Hall makes that entranceway seem like the entrance to the selling of souls. The desolate landscape around them shrieks to life because of the costs to everyone involved, from Stoney (because really, he’s just leading a horse up a fenced in path, and Richmond is just in a building doorway) to Ves zooming into the scene with his battered convertible with an umbrella sticking up for shade. Emotion builds to a fever pitch, and everyone in front of the camera and behind is up to the task of capturing the agony, the sweat, the fierceness of the moment. And that’s why you should care who the hell Stoney Burke is.